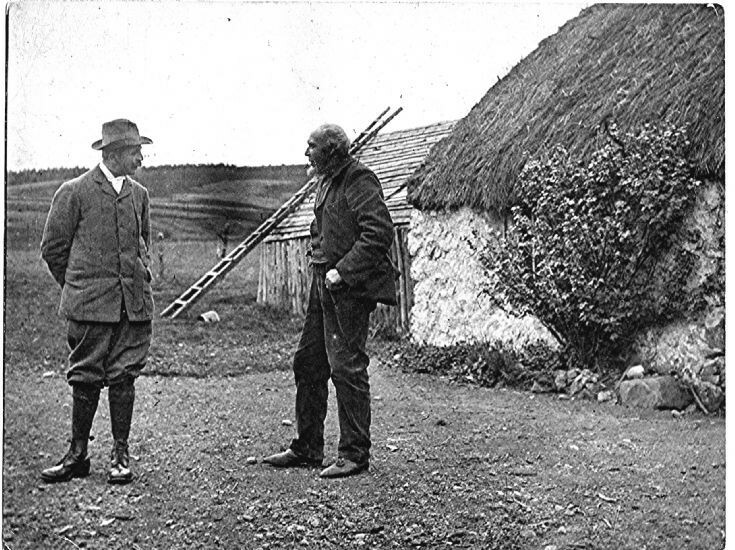 Dr Howie,the doctor for Strathdon and Glenbuchat, outside Rob McPhersons cottage at the Deochry. Rob was a ledgendry character in the glen, with many stories told of his exploits. The Laird once offered him a more 'commodiuos cottage' lower down the glen. But Robs response was that he was perfectly content to stay where he was. There after,in the dry wit of the area,his cottage was known as 'Contentment Hall'.